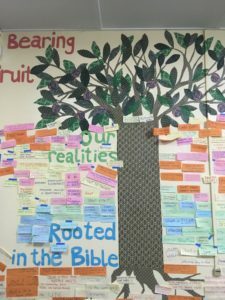 Sometimes, we might talk about the branch or how things are at our branch, which basically is what we call our local expression of our missions organization. 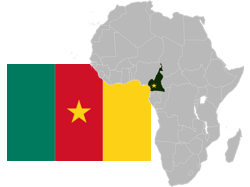 We are so glad to be part of the Cameroon branch, which is one of the largest (local branches) in the world. The great international schools that the kids attend is just one of the many perks. 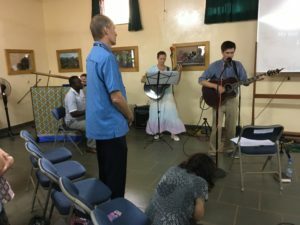 Brian led worship several times during the branch gatherings. Every year, there is also Branch Conference. 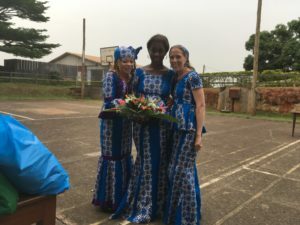 Some of the highlights included times of prayer following reports about work going on throughout the Central African Region and the sharing from one of our ministry partners, Cru (Campus Crusade for Christ Cameroon). It was so encouraging to hear about the collaboration of these two organizations as well as local churches and the impact that together we are having. For example, each visitor to the Prime Minister’s office is questioned about their mother tongue and then offered a download of either the Jesus Film or the Bible in that language, if available, and because they are with this high government official, they accept and use it (whether want it or not.) This is the influence of reaching those in positions of power and of the body of Christ working together. The bigger your headdress, the more important you are. Shannon is with the new General Director and the out-going branch governing board chairperson; both are good friends. It was a packed room for the formal ceremony with lots of media coverage. This year the week-long Branch Conference concluded with the installation of a new General Director. For the first time ever, our branch director is a woman. Somehow, I (Shannon) ended up on the organizing committee for the big public relations event for the transition of the directorship. 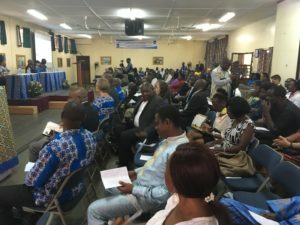 That means that we planned and pulled off the official ceremony with all the government, university and ministry representatives and partners here in Cameroon along with the party that followed. 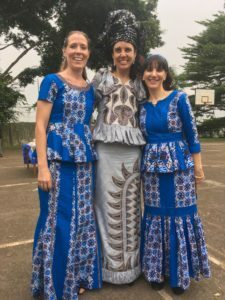 I learned so much about protocol and culture from the planning and from the event itself, and praise God, it was a huge success. The best part was seeing so many people work together to pull this off and to see God answer so many prayers so specifically and clearly. Just one of those answered prayers related to the weather, where a torrential storm passed by and not a drop of rain or gust of wind blew where we were despite flooding and damage all around us. These two amazing ladies welcomed me to the team and taught me so much in the process.